The Carlingford Leprechauns: Protected by the European Union, But Are They Real? 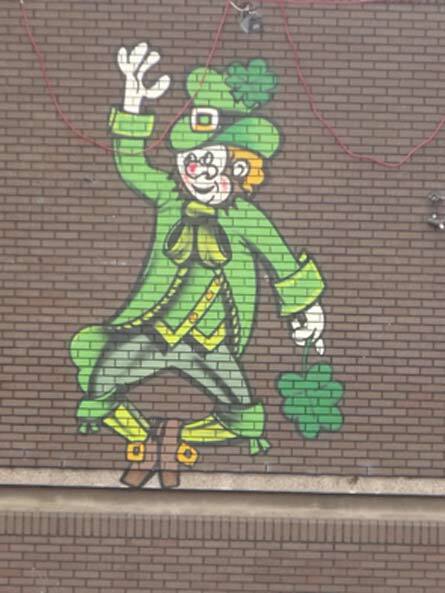 Along with the harp and Saint Patrick, leprechauns have become iconic of Ireland. These mischievous fairies; with their green coats and hats, pots of gold at the edge of rainbows, and promise of three wishes if captured are still popular, even though most people consider them to simply be a legend. There are, however, some people, mostly in Ireland, who believe firmly that Leprechauns exist today or that they existed in the past. They are believed to have been among the fairies that lived in prehistoric fairy mounds and fairy circles that are found across the British Isles, especially those in Ireland. One example of this would be the strange tale of the Carlingford Leprechauns, who are in fact a protected species in the European Union. The story all began in 1989, with a man by the name of P.J. O’Hare. O’Hare was tending his garden when he heard a scream coming from the nearby Foy Mountain in Mourne Mountain Range. He rushed up the mountain to find something that astonished him, scorched earth and charred bones surrounded by a green suit, hat, and several other items. These were all of very small size, including the skeletal remains. He also found 4 gold coins. He became convinced that these items belonged to a genuine, albeit now deceased, leprechaun. He placed all the items inside of a glass box at his pub - where they remain to this day. Some of the people of Carlingford believed him while others didn’t. 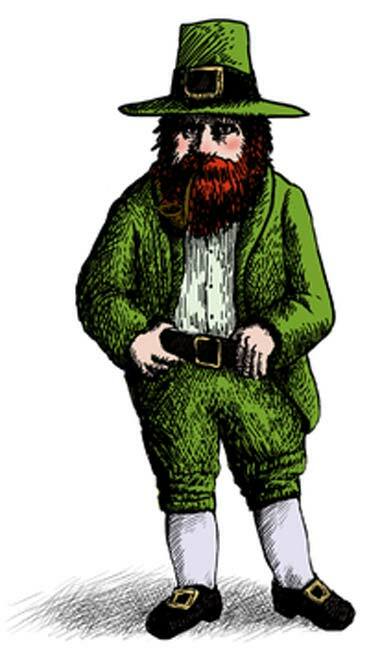 One of his friends who didn’t believe, McCoillte, wanted to find out whether there really were leprechauns in the area, so he arranged a leprechaun hunt – in which he hid five ceramic leprechauns and 1000 Irish pounds of prize money under each for anyone who could find them. McCoillte reasoned that in looking for the ceramic leprechauns one of the hunters might accidentally come across a real leprechaun. There were no such sightings. The hunt is now done every year in March on a Sunday beginning at 2 PM. So far, no genuine ‘Little Folk’ have turned up from these annual hunts as far as the author is aware. Carlingford from across the harbor. ( CC BY-SA 2.0 ) Local legends say the last leprechauns dwell here. After O’Hare died, the remains and items purportedly belonging to a leprechaun remained in the pub (which was sold), except for the 4 gold coins (which went missing). However, these coins were found a few years later in a purse discovered within a stone wall near McCoillte’s house. McCoillte was repairing the wall when he came across it. After receiving the items, McCoillte began to have encounters with leprechauns too. His first leprechaun encounter was one day when he was walking his dog through the nearby mountains. While walking, he saw three leprechauns sitting on a rock. They did not take notice of McCoillte, who, along with his dog, were paralyzed and could not move for several minutes until the leprechauns disappeared under the rock. When McCoillte returned home he was interrogated by his wife as to where he had been. He insisted that he had only been gone for about an hour and half. His wife then informed him that he had been gone for over seven hours. It was midday when he had gone out. It was now eight o’ clock in the evening. After this, McCoillte became a firm believer in leprechauns. McCoillte had several other encounters with leprechauns, including one with a leprechaun who called himself Carriag - who claimed to be an elder of 236 leprechauns who lived in the nearby mountain. Carriag told McCoillte that he and the other leprechauns with him were the last of their kind and that there used to be millions of them on the island. When asked where they had all gone, the aged fairy responded that they had all died out because people had stopped believing in them. After this, McCoillte and like-minded individuals began to campaign for the mountain that was home to the leprechauns to be made a protected area by the European Union. His wish was finally granted in 2009 when it was made into a preserve under the E.U. Habitats Directive. The E.U. officials agreed to add the leprechauns as a protected species because they could not prove nor disprove their existence. Today, Carlingford has a folklore park and other attractions to celebrate the leprechauns, who are believed to live in their mountains. Although some people are firm believers that the Carlingford Leprechauns are real, there has been little attempt to determine the authenticity of the claims surrounding them. Although we cannot really prove or disprove the existence of leprechauns or other supernatural creatures in general, we can evaluate the likelihood of these anecdotes and items being from genuine leprechauns. One issue is that none of the clothing or other items found have been examined by experts to determine if they are genuinely ancient. The bones also have not been tested to see what type of bones they are or if they even originally belonged to a small hominin-like creature, such as a leprechaun. Until some tests are done, we can’t say for certain that the findings are genuine, though to be fair, we also can’t say that they are not real. McCoillte brought a notebook with him and took notes as Carriag retold him the mythological, geological, and social history of Ireland. If we could access the notebook, it would be possible to compare Carriag’s claims to what we know of the geology and human history of Ireland and see if it is likely that this actually came from an ancient fairy and not from McCoillte’s imagination. Until we have this data though, it is not possible to say whether or not his claims are genuine and it would be prudent to not jump to conclusions about the existence of leprechauns based on these stories from Carlingford. Another problem with the Carlingford Leprechauns being a real phenomenon is that they are based on a fairly modern understanding of the creatures. During the middle ages, leprechauns differed considerably from their modern green-clad counterparts. For one thing, they were often said to have worn red and they may have originally been underwater creatures. 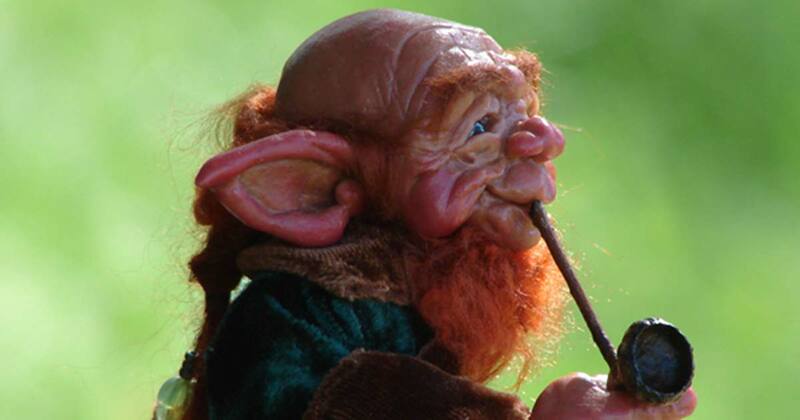 Leprechauns were also considered rude, noisy, drunks and solitary cobblers who could be male or female. 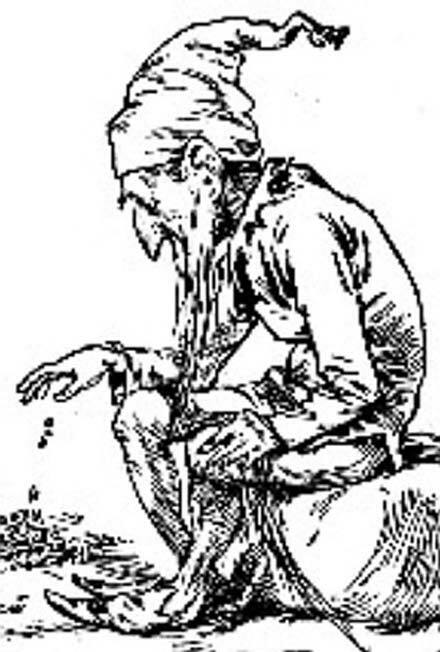 The modern perception of leprechauns as charming but mischievous all-male fairies dressed in green only dates to the 18th century at the earliest and this image did not become widespread until the 19th century. Although it could be argued that just as human culture has changed through the ages so has leprechaun culture, the fact that the Carlingford Leprechauns are a very modern type of leprechaun specific to contemporary Irish culture makes it less likely that they are genuine, supernatural leprechauns. It is sort of like someone who believes in elves describing elves that are just like the elves of 10th century romance novels, rather than the “original” elves of ancient Norse and Germanic legends. Entities closer to the original legends are more likely to be real than those that are based on derivatives of the legend. The authenticity of the Carlingford Leprechauns cannot currently be determined, but they do excite the imagination and celebrate the cultural heritage of the Irish people. For many people, that may be more important than the question of whether they are actually real. My grandad saw a Leprechaun. You don't think an Irish grandad would lie, now do you? Why not add unicorns or centaurs? How about pink elephants? None of those can be proven or dis-proven.